Part of the Advanced Intelligence Series™, the SITC-15 brings exceptional quality and reliability. 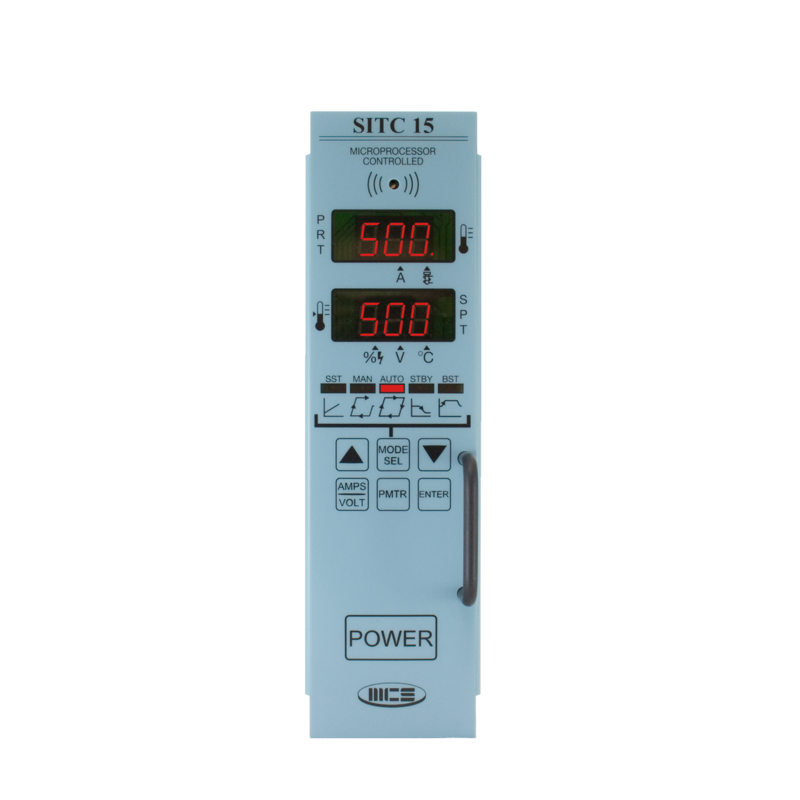 The SITC-15 is a feature rich hot runner temperature controller with a simple intuitive design at a low cost. 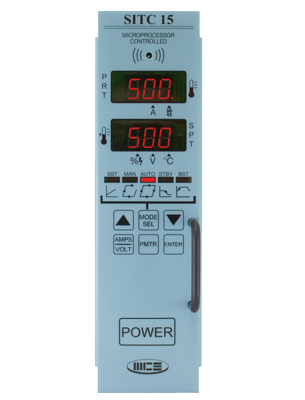 The microprocessor controlled SITC-15 implements phase and burst control technology for high accuracy and automatic power response for any size heater. Soft-start burns out harmful moisture from heaters. Boost and Standby modes have been built in so extra accessory panels are not needed. Home © 2010 Mold Control Systems, Inc.